Rosalie Thomass (“Greetings From Fukushima”) stars opposite Matthew Bloom (“WWE Raw”), Bernhard Schütz (“A Most Wanted Man”), Prince & Queenie (two lovable English Bulldogs), and a delightfully eccentric cast in this refreshing romantic comedy. Follow the improbable duo as they discover your best friend’s wedding can be a real wake-up call! 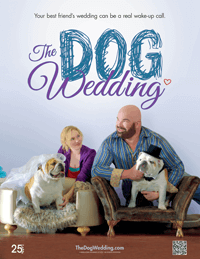 THE DOG WEDDING is a sponsor of Canine Companions for Independence, Long Island Bulldog Rescue, Chicago English Bulldog Rescue, MSPCA-Angell, Juno’s Place and more. The film’s sold-out premieres and popular photo contest raised $20,000 in donations and gifts. A share of every ticket, disc and download sold will be donated to canine charities. the acclaimed German film star, makes her U.S. debut as “Ulrika Schmidt,” an overworked business executive sent to Arizona to close a pickle factory, in THE DOG WEDDING. 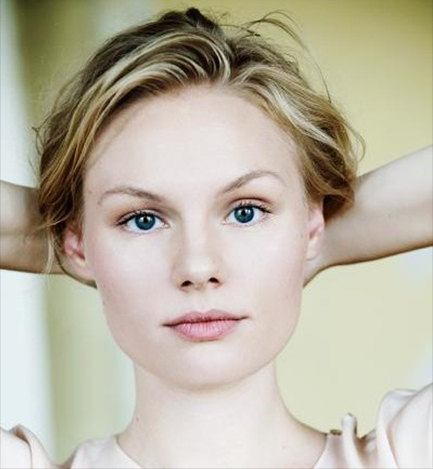 Also in February 2016, her lead role in famed Director Doris Dörrie’s GREETINGS FROM FUKUSHIMA debuts at the Berlin International Film Festival. Ms. Thomass starred opposite Peter Dinklage (GAME OF THRONES) in the feature film TAXI in 2015. She rose to prominence in Universum Film’s box office hit ONE HOT NUMBER and 20th Century Fox’s coming-of-age trilogy BEST CHANCE. known worldwide as a professional wrestler with WWE, makes his feature film debut as “The Manimal,” a kind-hearted pro wrestler ill-prepared for the human connection he finds at the dog park. Mr. Bloom is the newly minted Head Coach of WWE NXT and a star of the WWE reality series “Breaking Ground.” The 6’8” 360-pound Mr. Bloom’s career highlights include defeating Kane for the WWE Intercontinental Championship at Madison Square Garden and battling Undertaker with Big Show at WrestleMania XIX. 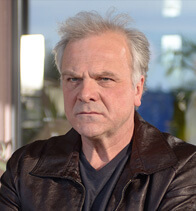 is a prolific German actor who has appeared in over 80 films and television programs. Mr. Schütz made his U.S. film debut alongside Philip Seymour Hoffman and Robin Wright in A MOST WANTED MAN. In THE DOG WEDDING, he is ferociously funny as “Dieter Schmidt,” the CEO of a pickle empire fighting to maintain his grip on the daughter he groomed to be his successor. is a pioneering professional wrestler best known as a star on the 1980s television series Gorgeous Ladies Of Wrestling (G.L.O.W.) 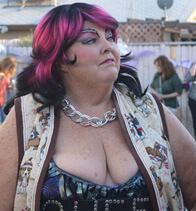 and immortalized as the “Bearded Lady” in SPACEBALLS. 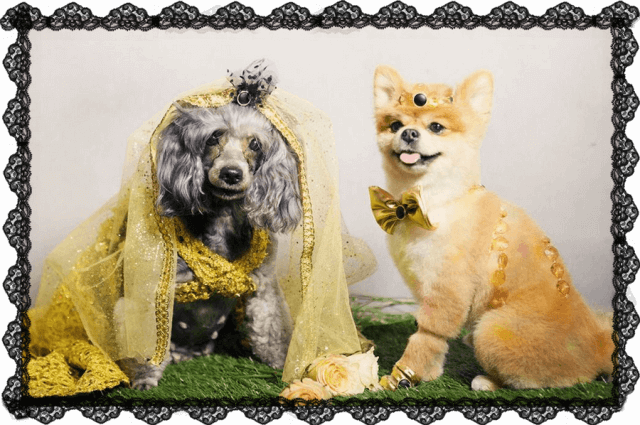 In THE DOG WEDDING, “Queen Kong” is the inventor of canine marriage ceremonies, a tradition her son “The Manimal” pledged to continue. two lovable English bulldogs, are real-life sweethearts. 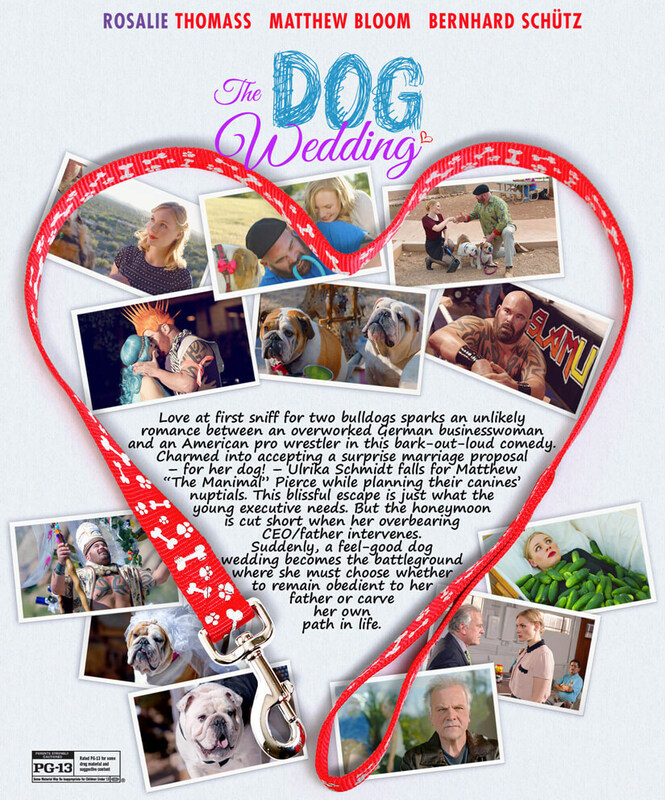 THE DOG WEDDING is their first film. directed THE DOG WEDDING. 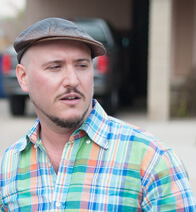 As Producer, his two prior feature films won Best Picture at Slamdance (TIJUANA MAKES ME HAPPY) and Milan (PICTURE ME). Mr. Lefkowitz is also Producer of WIN IN CHINA, a documentary with Jack Ma, the billionaire founder of Alibaba Group, about that nation’s entrepreneurial revolution.  He is the founder of 25th Frame, an award-winning film production company; and an honors graduate of New York University’s Tisch School of the Arts. 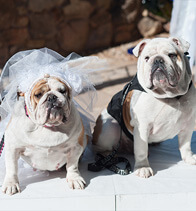 YES, DOG WEDDINGS ARE A THING! 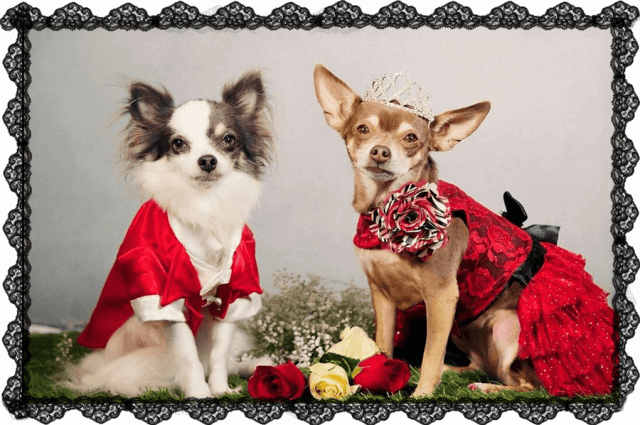 Popularized by the likes of John Legend & Chrissy Teigen’s pups Puddy & Pippa, dog weddings range from fun backyard celebrations to fancy charity benefits. As covered by Popsugar, People and Dogster, over 500 canine couples’ wedding photos, from 41 states and 12 countries, received 250,000 votes (including fromSarah Jessica Parker) in #TheDogWedding Photo Contest. Now the top 100 photos — including rescue ambassadogs Titus & Hailey, celebrity rescue Chloe Kardoggian and the inspirational Simon The Blind Pug — make their big screen debut in the film’s unique opening credit sequence. 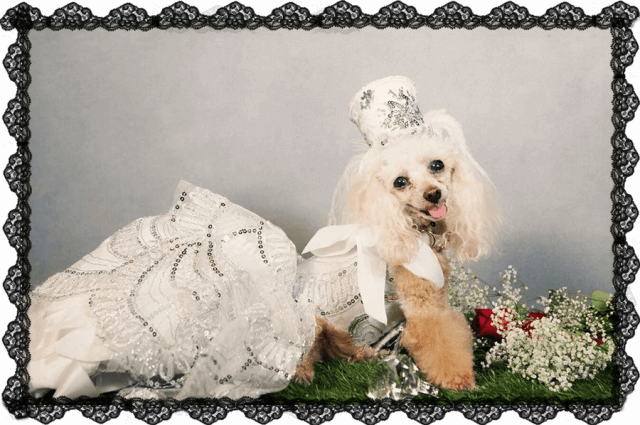 Enjoy the dog wedding photos below! Donations made to canine charities for every disc and download purchased! $20,000 donated already!